Palaeolithic hand axe found at Swanscombe in Kent. 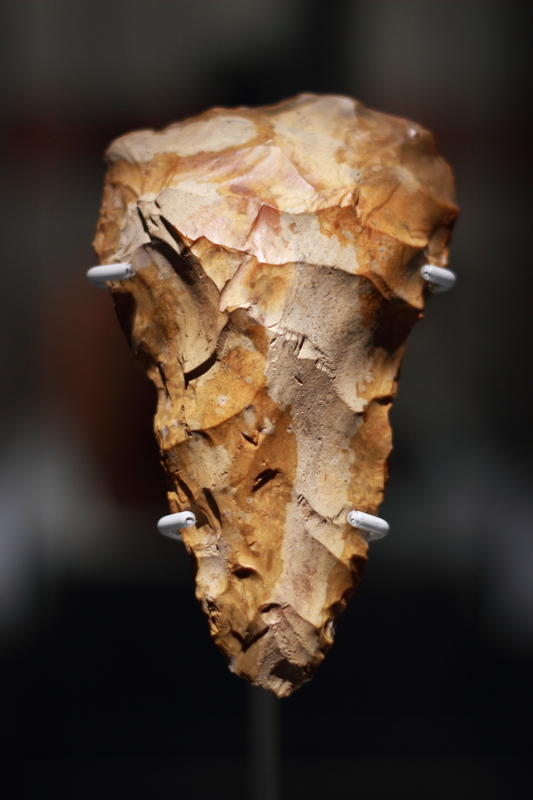 Dating to 400,000 BC this is one of the earliest hand tools found in Britain. This can be seen at Bristol City Museum & Art Gallery.